list just a few for you, and why you should consider avoiding it too. Added sugars (like sucrose and high fructose corn syrup) contain a whole bunch of calories with NO essential nutrients. Also called “empty” calories. There are no proteins, essential fats, vitamins or minerals in sugar. Sugar causes a large release of dopamine in the brain, which leads to addiction for a lot of people. Because of the effects of sugar on hormones and the brain, sugar dramatically increases the risk of becoming overweight or obese. There are many more reasons not to consume it, but I don’t wanna bother you guys with a lot of text. If you’re interested in this subject, I recommend you read the book Salt Sugar Fat. So how to substitute sugar? Simply with natural sweeteners such as honey, dates, stevia, maple syrup or agave extract. 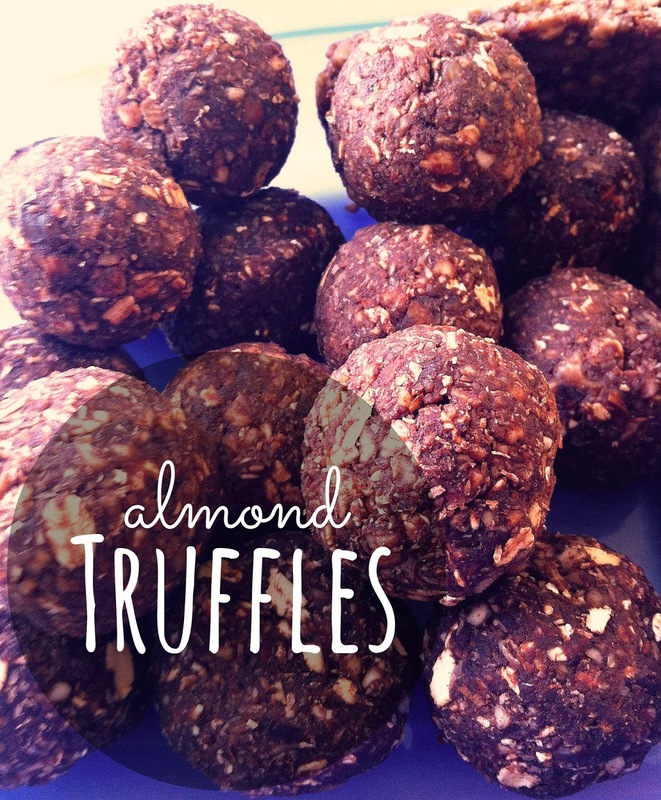 And these amazing almond truffles are a product of super healthy ingredients and super yummy. Healthy, simple and fast 🙂 Let me know if you like them! The credit of the recipe goes to Susanna Backman, go check out her Instagram! Chop everything in a food processor and put in a bowl. Mix everything and add some water if the consistency is too dry. You should be able to form balls.